Are you looking to engage your students in a fun and meaningful way? Are you looking to replace worksheets as centers? Then, this packet is for you. 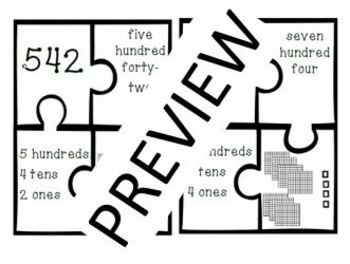 This packet will engage your students while they review the key concept of place value in the ones, tens, and hundreds place. 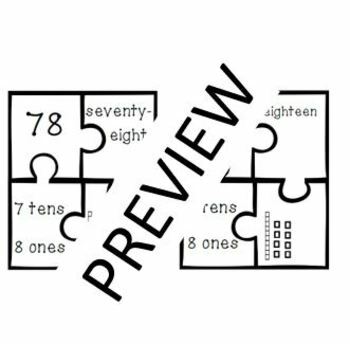 There are 12 puzzles that focus on ones and tens. 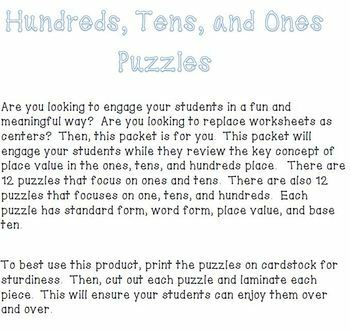 There are also 12 puzzles that focuses on one, tens, and hundreds. Each puzzle has standard form, word form, place value, and base ten.